Like many others I’ve been participating in the 52 weeks of personal history and genealogy created by Amy Coffin in collaboration with geneabloggers (http://www.geneabloggers.com/tag/52-weeks-of-personal-genealogy-history/) so retrieving memories has definitely been on my mind. One of my “to do” tasks is to knock my study into some order so I’ve been cataloguing my books, slowly, and came across a book that was one of my earliest “family history”-related books. 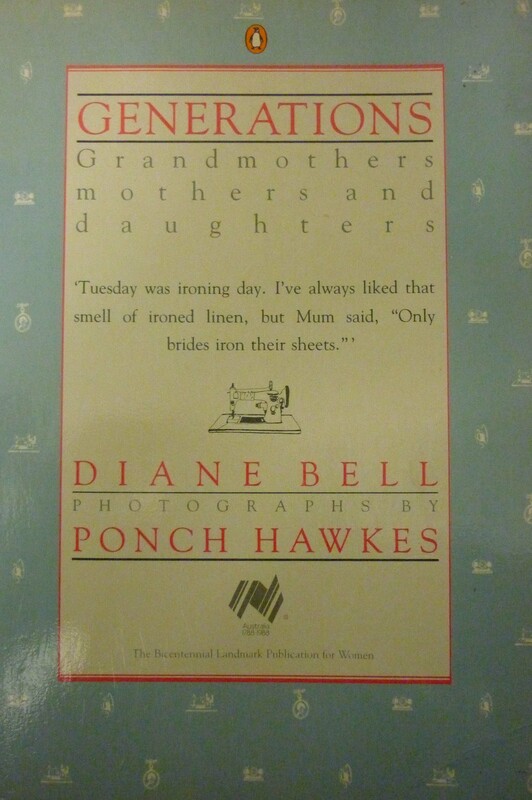 It is called “Generations: grandmothers, mothers and daughters” by author Diane Bell and photographer Ponch Hawkes and was a Bicentennial publication for women. It focuses on different topics relating to women’s lives and work, especially in the past, and how it was changing by 1988. The author interviewed a wide variety of women from a range of life-experiences with a focus on the three generations. It’s interesting to re-read it and be reminded about how much had changed in the way women lived their lives between settlement and the Bicentenary year. It’s equally interesting to reflect on how much has changed in the subsequent years. Fashion in the photos being only one of the many things. What I’ve found most enjoyable about it is to remember so many of the day-to-day household management strategies from blue-ing the white sheets to the old-style Singer sewing machine. I’m sure it’s jog to my memory will assist me in future 52 weeks’ blogs. When someone else talks about the making-up of starch for the pillow cases etc, it immediately comes back to you how the starch was gloopy, and vaguely disgusting really, whereas if asked about laundry-day, would starch have leapt to mind? I suspect not. This book is held by the National Library of Australia http://www.nla.gov.au and could be ordered into your local reference library through inter-library loans. 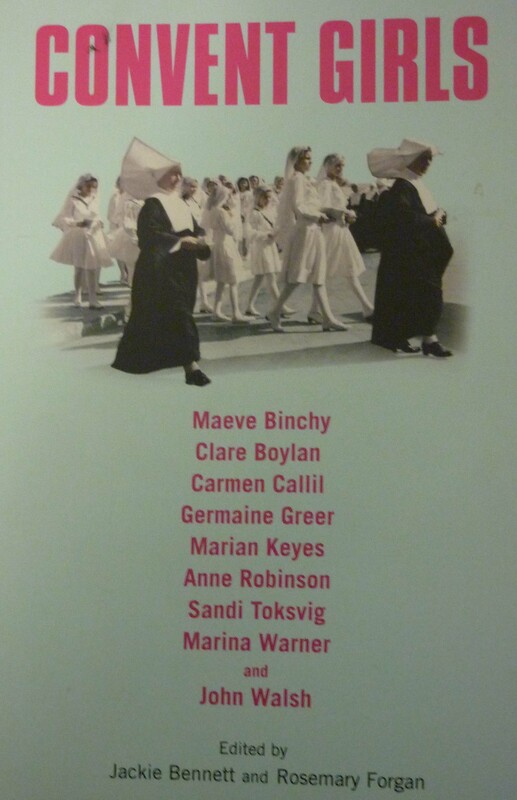 I’ve also just finished reading a book called “Convent Girls” which has brief chapters by women who were educated in convent schools. So many evocative memories in common despite the geographical differences. This entry was posted in Family History and tagged women's history; Australian history; convent schools; convent girls; generations by cassmob. Bookmark the permalink.